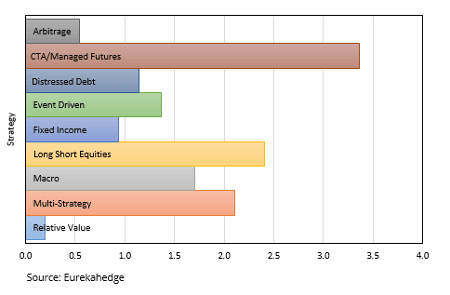 Below is the February Eurekahedge Press Kit that provides a brief overview of the hedge fund industry, highlighting fund managers’ performance across strategies and regions, as well as trends in asset flows, launch and closure activities, and hedge fund fees. 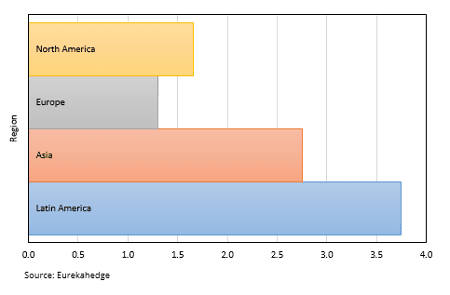 Latin American hedge funds kicked off 2018 with 3.75% gain in January, riding on the equity market performance of the region. Despite strong recoveries across European economies, fund managers from this region lagged behind their global peers. CTA/managed futures managers reaped the biggest gains during the month, owing to oil exposure, the weakening US dollar and rising equity market indices. Relative value hedge funds finished last with barely positive returns, as January saw a return of volatility in the market.